TWO-AND-A-HALF YEARS. That’s all it has taken for Paul Titheradge to turn a general garage in the centre of Swindon, Mike Allen Services, into Wiltshire’s leading independent Jaguar specialists. 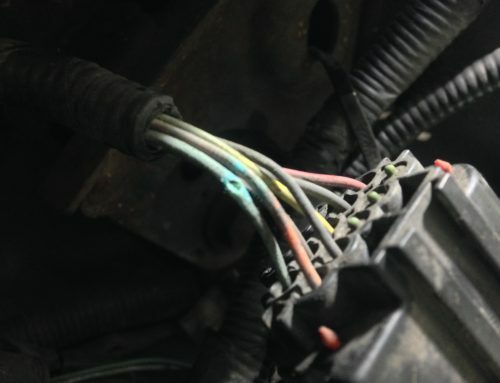 An impressive feat for the young technician. Just like his self-application to win an important award when he worked for Jaguar, it’s proof of Paul’s need to do things the right way. Paul started his Jaguar career in 1999, age 17, as an apprentice at Swindon’s Jaguar franchised dealership. He continued working there after his apprenticeship ended, eventually becoming a master technician and then workshop controller in 2006. 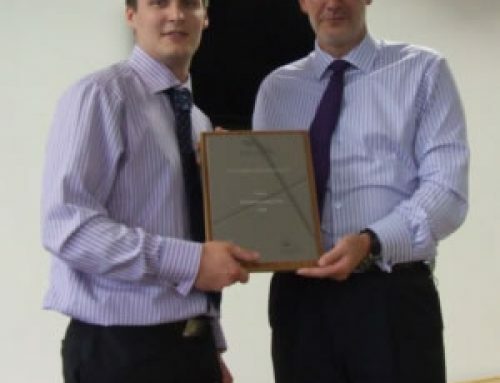 Three years later, Paul won the prestigious Jaguar UK Technician of the Year Award, a huge honour. 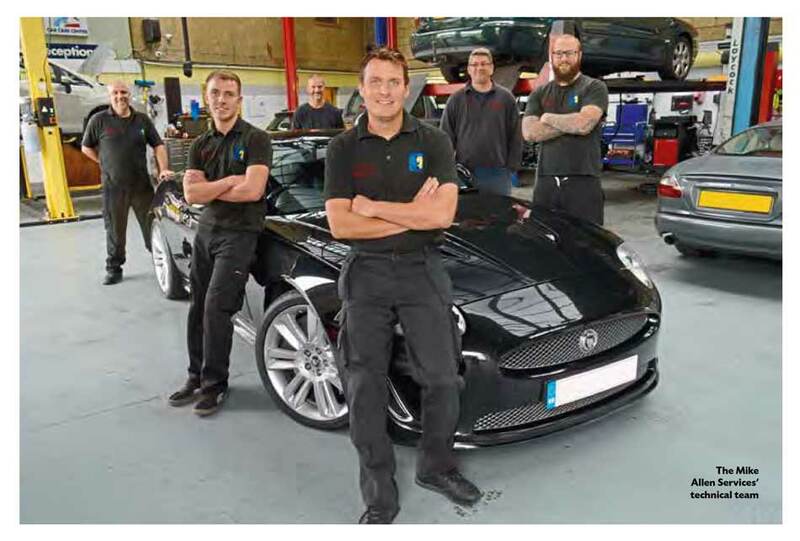 “It involved a series of exam questions, online tests and the six finalists heading to Jaguar’s technical centre at Gaydon for practical tests,” he explains. A mirror that celebrates this win hangs in his office, a discreet but important indication of his background. Unsurprisingly, the victory was a major boost for his career at Jaguar and, not long afterwards, he became the service manager at the dealership before progressing to area manager, overseeing three garages. And so, in early 2016, he took the brave decision to go out on his own and he knew exactly how and where. Mike Allen had started his garage in 1985. Originally a Renault specialist, it later branched out into repairing all makes of car. But, after 30 years, Mike was looking to retire. “The name, reputation, location and the equipment the garage offered was perfect for what I wanted,” says Paul. Mike and Paul had originally spoken in 2014, but when Paul received promotion around the same time, and with another baby on the way, he decided to stay with Jaguar. “Two years later, I still had itchy feet, so Mike and I had another chat and came to an agreement.” In July 2016, the garage changed hands. 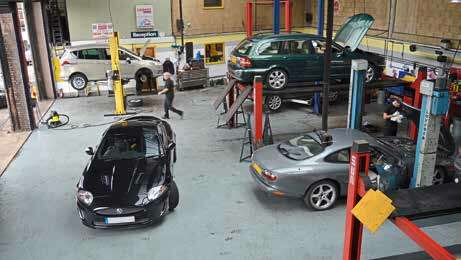 se he had a loyal customer base, which we’ve kept”), he always wanted to transform the garage into a Jaguar specialist. 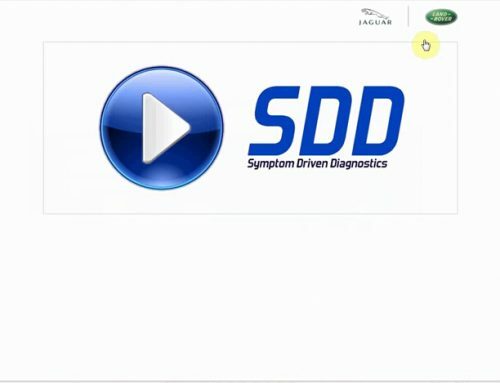 He has achieved this not only by using his own skills, installing two more ramps and investing in Jaguar diagnostic equipment, but also by employing two experienced Jaguar technicians: Simon Thomas, who was a service adviser at the Jaguar main dealer with Paul, and Mike Turasz, a master technician who worked at Jaguar dealerships for 16 years. 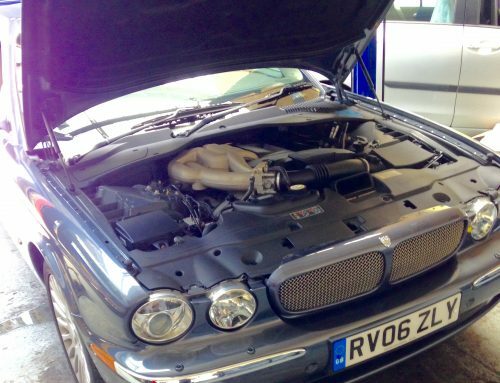 Mike Allen Services offers servicing and maintenance for all Jaguars, but Paul especially enjoys working on those from the early Eighties. 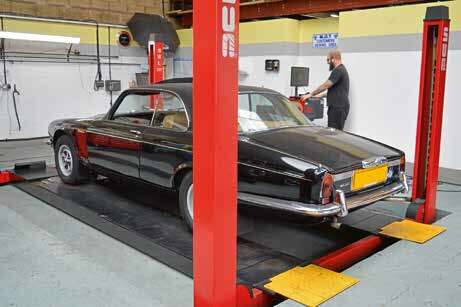 “I was still seeing XJ40s and XJ-Ss during my apprenticeship, so know those cars well,” he says. 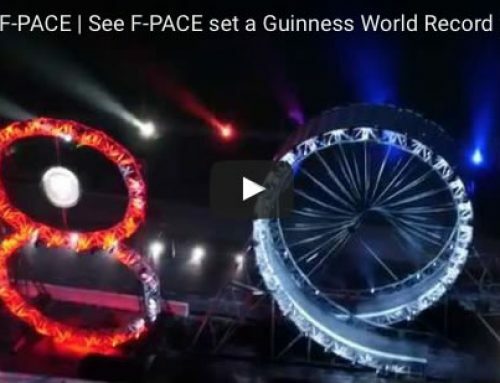 And to keep himself and his mechanics up-to-date, they continue to attend Jaguar-run seminars on newer models as and when they’re available, including for the all-electric I-PACE. His technician Simon is already earmarked for this. He has a real passion for classic cars and previously worked at Jensen-specialist Cropredy Bridge. On the day of my visit, Simon is working on an XJ-S V12, getting that huge engine set up correctly. Bearing in mind the short amount of time it has taken Paul to turn this successful – but general – garage into a popular Jaguar specialist, I don’t doubt he can make this happen, and to his usual successful standard.